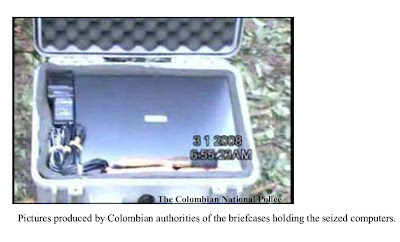 Today's NPR story, "Interpol Backs Colombia's Charge Against Venezuela," describes the role that electronic evidence is playing in a dispute between neighboring Latin American countries. 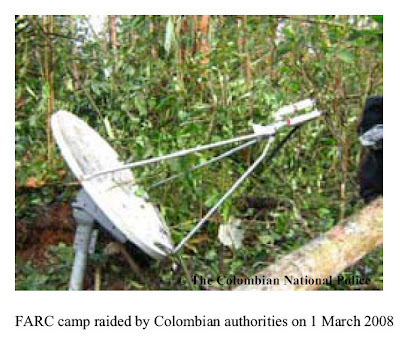 Interpol has recently weighed in with their computer experts in "INTERPOL's forensic report on FARC computers and hardware seized by Colombia," which is available in four languages on the international law enforcement agency's official website. For those interested in the evidentiary aspects computer law, it is a fascinating document about the eight devices seized from rebel strongholds: three laptop computers, two external hard drives, and three USB thumb drives. None of this would have been possible without INTERPOL’s two computer forensic experts from Australia and Singapore who dedicated themselves to producing such a large amount of high-quality work under great time pressure. Their willingness to take on this painstaking task – to fully immerse themselves in the examination of 609.6 gigabytes of data – and the professionalism with which they conducted their forensic examination gave INTERPOL the utmost confidence in their findings. INTERPOL also benefited greatly from the invaluable insights of the experts from academia, the private sector and police who were consulted. 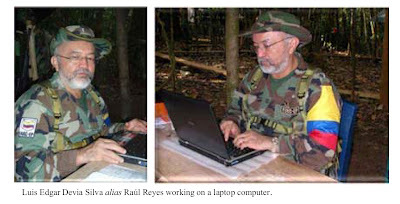 It is also interesting that the report claims that these experts' lack of translation skills ensured their neutrality, since the experts "came from outside of the region and did not speak Spanish, which helped to eliminate the possibility that they might be influenced by the content of any data they were examining." In the news coverage the fact that this is a policy document as well seems to be missed. Note how the "Executive Summary" ends. Finally, INTERPOL’s CompFor IRT has identified a number of issues with regard to the conduct of international computer forensic examinations and with regard to the handling of electronic evidence by law enforcement officials, especially those who are the first to respond to a crime scene. These issues are not only directly relevant to Colombia but also for law enforcement officers in all of INTERPOL’s 186 member countries. Addressing them effectively requires INTERPOL and its member countries to develop a number of initiatives which are explained in detail in Part 6 (“Recommendations for INTERPOL and its member countries”) of this report.